A new survey of almost 2,000 health-care workers found staggering rates of violence experienced by front-line staff. As a 42-year nursing veteran of Ontario's hospital system, Linda Clayborne is no stranger to what's become a growing phenomenon — escalating incidents of violence perpetrated by patients and even family members against front-line health-care staff. "I've been kicked, spat on, bit, pushed and had verbal abuse," said Clayborne, who retired in June 2016 from St. Joseph's Hospital in Hamilton and now works part-time doing private nursing. She says violence is a "daily occurrence at the hospital." Clayborne is one of 68 per cent of hospital staff polled in seven communities across Ontario, including Toronto, Durham, Kingston, Stratford, Sudbury, Ottawa and Hamilton, to have experienced physical assault in the past year, according to a study conducted by the Canadian Union of Public Employees through its hospital division, the Ontario Council of Hospital Unions. The results of the poll were presented on Monday morning at a press conference at Queen's Park in Toronto. The poll surveyed 1,976 of the OCHU's members — 1,568 of which were women — across a range of different-sized hospitals, and contains a margin of error of 2.11 to 2.33 per cent. It was conducted by interactive voice response on five dates between Aug. 26 to Sept. 14. But staggering as they may be, the results bear out a disturbing reality Hurley says he was confronted with at a nursing conference held by the OCHU two years ago. "We asked 150 nurses, how many of you have been assaulted in the last year and every single one of them put up their hand," Hurley recalled. The snapshot wasn't exactly scientific, but from that moment, the OCHU began to probe the problem in depth. "You've got an environment where there is rampant verbal aggression, sexual harassment and physical violence and it's a very unhealthy, corrosive work environment," he told CBC News. 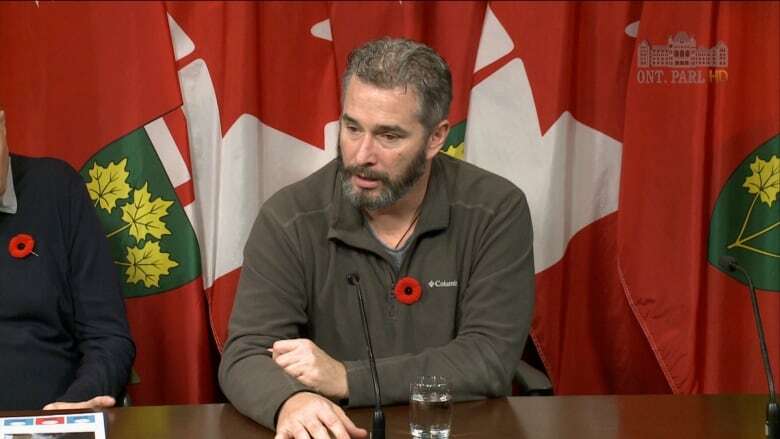 'I personally would love to see accountability for these people that come in and think that it’s acceptable to hit healthcare workers,' said Scott Sharp at a Monday morning press conference at Queen's Park. That environment is something Hurley argues is largely the result of what he says are eight years of funding cutbacks at hospitals across Ontario, making for long wait times, frustrated users and fearful staff. Hurley said violence by patients and family members can occur in virtually any part of a hospital, from the emergency department to the intensive care unit to obstetrics. "They may be people with mental illness, people high on opiates, people distressed about the quality of their care, or distressed about the length of time they've waited — and they take that aggression out on the health-care staff that they meet." He cited the recent case of a mentally ill man who had come to a Smiths Falls, Ont., hospital and grabbed a pair of blunt scissors off the admitting clerk's desk and "plunged them" into her neck. "Had she had a Plexiglas barrier completely around her, that couldn't have happened," said Hurley, adding that budget restraints often mean hospitals aren't making even such minimal investments to protect staff. Another factor is that the health-care sector is female-dominant — 85 per cent of staff are women — and societal attitudes are reflected within hospitals' walls, Hurley suggested. "You've got in Canadian society, unfortunately, a very high degree of tolerance for violence against women," he said. "So you've got this general societal attitude and it doesn't stop at the door of the hospital. It comes right in and it's compounded by the fact that if you assault someone in a hospital, you may not face charges." Clayborne said violent incidents began rising about 15 years ago, in lockstep with ongoing staff cuts that left front-line workers to deal with unruly patients, where once trained crisis teams were there to respond. "In my opinion as a nurse, I am there to nurse, to nurture, to help people get well," she said. "It's become an expectation that I become part of the goon squad, so to speak." "For me and my colleagues, we don't want to do that. We've been hurt, we've been thrown to the floor. I had my head banged against the wall." Clayborne said she was traumatized by one incident in particular: a Code White — an SOS when a worker is in trouble — was called during one shift and she and other staff went racing to help a nurse who was being attacked by a male patient. "She was on the floor in the fetal position ... and all I could hear was the thump of his foot against her back," she said. Scott Sharp is also trying to recover from what may be permanent injury from an attack. The personal support worker was on the midnight shift in the emergency department at a Guelph, Ont., hospital in January 2015 when he ran to help co-workers restrain a physically aggressive young man who was high on crystal meth. "He punched me in the face, like uppercut me," recalled Sharp, 48, who lives in nearby Elora. Sharp lost his balance and slid under the gurney. His back then hit the floor and his head slammed through a steel rack and into a wall. The father of four ended up with spinal damage that has left him reliant on a walker or crutches, suffering chronic pain and bladder-control problems. 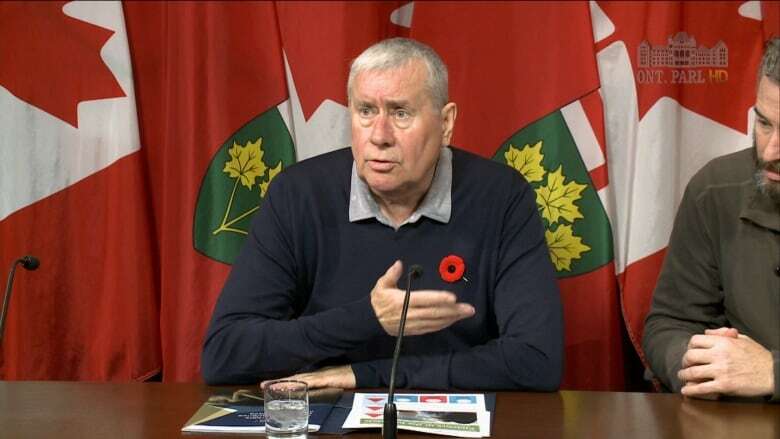 Sharp said he has had difficulty getting compensation from the Workplace Safety and Insurance Board (WSIB), which refused to pay for some of his medications. And when his wife had to take time off work to be his caregiver for many months, she didn't get paid, devastating the family financially. Sharp now who wants to see more accountability from upper management in cases of workplace violence. The Ontario Hospitals Association (OHA) says it takes the concerns brought forward "very seriously," but is disappointed that negotiations with the CUPE have reached an impasse. "While we know that the work performed by healthcare providers is often challenging and demanding, acts of violence are never accepted as something that staff members should expect to face within the workplace," the OHA said in a statement, adding the health and safety of employees remains a priority for both the OHA and its members. This past spring, the OHA in conjunction with the province released a 23-point report aimed at making hospitals safer after what Labour Minister Kevin Flynn and Health Minister Eric Hoskins described as a "concerning increase" in the number and severity of violent incidents, experienced largely by nurses. "There must be zero tolerance for workplace violence; one incident of workplace violence is one too many," the report said. 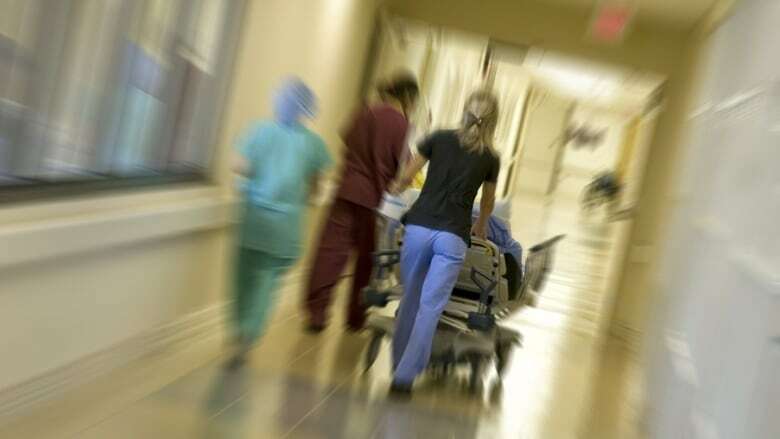 The recommendations, which included an awareness campaign against workplace violence, creating systems to report incidents of violence and increasing supports for patients with aggressive behaviours, are something "hospitals are currently working through and implementing," the OHA said. Under legislation, hospitals can't be sued for work-related injuries. Police and public prosecutors typically discourage workers from seeking charges against patients, especially those with dementia, mental illness or under the influence of drugs, because conviction is unlikely, Hurley of OCHU said. "It's not that we want people to be prosecuted ... but from our perspective it should be the courts that make that determination whether a person at the time of the attack (understood) the nature of what they were doing or not." OCHU also wants hospitals to beef up protection for staff and it is calling on the Ontario government to provide enhanced legal protection for people who report violent incidents to their superiors — something both Hurley and Clayborne said most workers are reluctant to do because they fear reprisals.